I'm a bit ahead of schedule for this one, but once it was in my head, I had to knock it out. 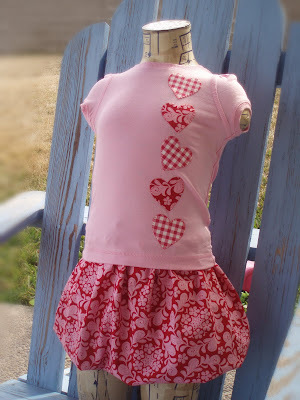 I used this great tutorial from Ruffles and Stuff for a bubble skirt. She used tights for the waistband piece, but I had this pair of legging on hand that Avery is far too tall for. I love the transformation. Perfect for my sweetheart.